Figure 1. Mapping CPwE Logical to Physical. 1. Optimised physical network infrastructure solutions from Panduit that have been developed to align with the Cisco and Rockwell Automation Converged Plantwide Ethernet (CPwE) Resiliency Cisco Validated Design (CVD). 2. Design guidance for aligning logical and physical industrial network architectures that utilise industry best practices. Strategic design guidance facilitates effective collaboration between OT and IT. 3. Integrated solutions, tools, and services to simplify design and implementation for better equipment optimisation and broader risk management. Figure 2. Physical Layout of Block Diagram. CPwE is the underlying architecture that provides standard network services for control and information disciplines, devices, and equipment found in modern IACS applications. The CPwE architecture (Figure 1) provides design and implementation guidance to achieve the real-time communication, reliability, scalability, security, and resiliency requirements of the IACS. Successful deployment of CPwE logical architecture depends on a robust physical infrastructure network design that addresses environmental, performance, and security challenges with best practices from Operational Technology (OT) and Information Technology (IT). Collaborating with industry leaders such as Rockwell Automation and Cisco, Panduit helps customers address deployment complexities associated with Industrial Ethernet from the plant to the enterprise. As a result, users achieve resilient, scalable networks that support proven and flexible logical CPwE architectures designed to optimise industrial network performance. Figure 3. Logical Building Blocks Diagram. Increasing the resilience of an industrial Ethernet network requires identifying the challenges and risks for underperforming networks and network disruptions, and defining appropriate countermeasures to achieve high resiliency. 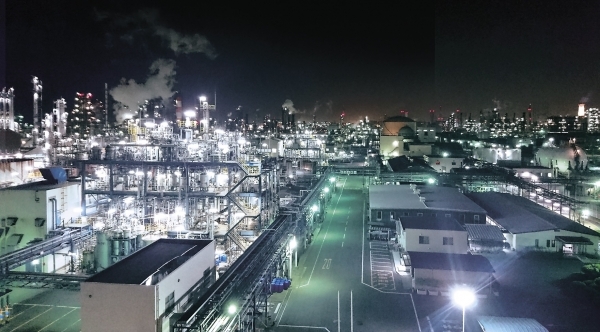 The challenge for network designers is to implement a reliable, secure, and future-ready network infrastructure across the varied, harsh environments of industrial plants. The networking assets must be placed across the plant floor with consideration of challenging environmental factors such as long distances, temperature extremes, humidity, shock/vibration, chemical/climatic conditions, water/dust ingress, and electromagnetic threats. These challenges present threats that can potentially degrade network performance, impact network reliability, and/or shorten asset longevity. Figure 1 shows the CPwE logical framework mapped to a hypothetical plant footprint. Figure 4. Example Switch-level Ring Topology. In harsh environments, industrial Ethernet networked communications systems must be extremely durable to avoid physical deterioration in cabling infrastructure. Physical deterioration results in defective network performance and safety issues, and leads to loss of data transfer, costly downtime, or catastrophic failure. Therefore, strategic selection of cable jackets for industrial environments is essential. Industrial physical infrastructure network building block systems comprised of integrated active gear can be deployed at most levels of the CPwE logical architecture. An industrial network building block system simplifies deployment of the network infrastructure required at each level of the CPwE. Figure 5. Example Redundant Star Topology. Physical Network Zone System — A Physical Network Zone System within the CPwE Cell/Area Zone provides environmental protection for the industrial Ethernet switch (IES) and serves as a consolidation point for multiple network connections. Industrial Data Centre (IDC) — The CPwE Level 3 Site Operations, or Industrial Data Centre (IDC), is one of four distinct cabinets that house equipment for several areas of the CPwE logical architecture. Industrial Distribution Frame (IDF) — For consolidation points of IES, an IDF solution may be used to house rack mounted IES to route traffic between the Cell/Area Zone IES and the Level 3 Site Operations IDC. The CPwE plant network backbone consists of the distribution layer that converges one or more Cell/Area Zones to the overall plant network, IACS controllers, and connections to the edge IACS devices. Figure 2 illustrates the CPwE architecture below the Core Switches down to Level 0 and Figure 3 illustrates the logical building blocks diagram. Figure 6. Level 3 Site operations Layout. The Cell/Area Zone represents the outer reaches of the network and provides the network connections to the machines, skids and equipment to be monitored, managed, and controlled. Figure 4 details the physical connectivity of an example switch-level ring topology. Figure 5 is an example of a switch-level redundant star topology. The Level 3 Site Operations includes virtual servers, security and network services, and a robust physical layer that addresses the environmental, performance, and security challenges present when deploying IT assets (eg: servers, storage arrays, and switching) in industrial settings (Figure 6). The IDMZ is critical to securing the network both logically (eg: malware, viruses, and so on) and physically to prevent unauthorised connections and network disruptions, leading to high resiliency. This is achieved by using active/standby firewalls and port protection (eg: block-outs, lock-ins). Resilient plant-wide network architectures serve a crucial role in achieving overall plant uptime and productivity. The CPwE architecture provides standard network services to the applications, devices, and equipment in modern IACS applications, and integrates them into the wider enterprise network. It also provides design and implementation guidance to achieve the real-time communication and deterministic requirements of the IACS as well as the reliability and resiliency required by those systems. The CPwE Resiliency CVD solution can help provide manufacturers the guidance needed to meet the challenges of a fully integrated IACS and realise the business benefits offered by standard networking.